If you are looking for some cheap games to enjoy over the long weekend, you will be glad to know that a number of PSP favourites will be getting discounted this Thursday, 1st of April 2010. For two weeks only, you’ll be able to grab a great deal on some great PSP titles. The promotion features a range of well loved games that you’ll want to snap up at these brilliant prices. Due to popular demand, Sony is expanding its PSPgo Free Game Offer until January 31st 2010. The promotion allows you to download a free game when you buy a PSPgo. After purchasing a PSPgo, simply sign-in (or sign-up) to the PlayStation Network and download a promotional theme onto your PSPgo. You will receive a email from Sony within a few days allowing you to download one of three new titles. 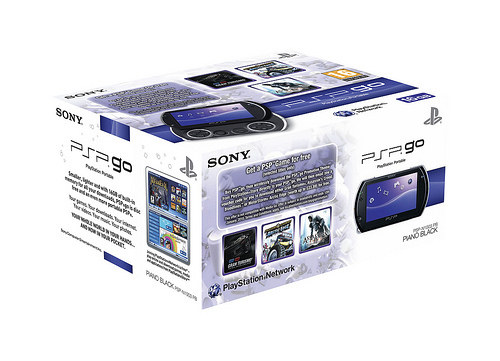 If you are debating on whether to purchase the new PSPgo this Christmas, Sony has a offer to help sway your decision. Buying a PSPgo and downloading a special promotional XMB theme from the PlayStation Store will allow you to download one of the following three games for free: MotorStorm: Arctic Edge, Gran Turismo PSP or Assassin’s Creed: Bloodlines.